The poll body said it was prima facie of the opinion that Khan was guilty of violating the Model Code of Conduct again. 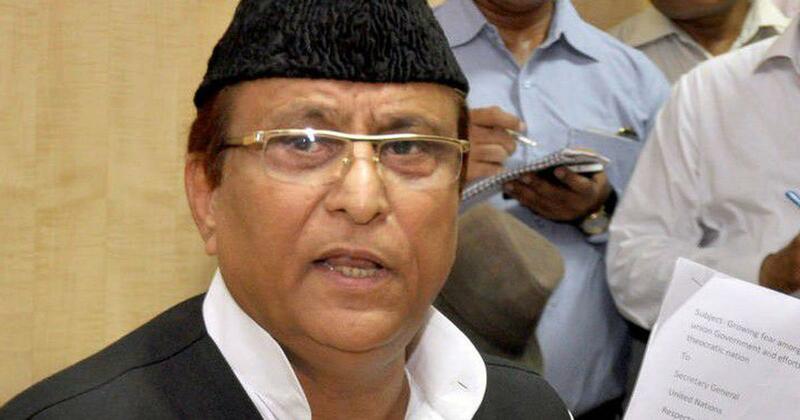 The Election Commission on Tuesday issued a fresh notice to Samajwadi Party leader Azam Khan for allegedly making objectionable remarks during speeches at different areas in Rampur, Uttar Pradesh, PTI reported. The poll panel gave him 24 hours to respond to the notice, saying the commission is prima facie of the opinion that he is guilty of violating the provisions of the model code again. Khan is already serving a 72-hour ban on campaigning for making derogatory remarks about Bharatiya Janata Party leader Jaya Prada. The Uttar Pradesh chief electoral officer on April 15 sent copies of video clips of Khan’s speeches between April 7 and April 12 across Rampur where he made objectionable remarks, the poll body said. The Election Commission cited Khan’s remarks from six speeches. In one instance, he said “fascists are trying to kill him”, while on another occasion he claimed the prime minister had killed Muslims, according to PTI. In a video clip received from the district election officer in Rampur, Khan allegedly said: “Do not be afraid of collectors. They are salaried employees. No one should be scared of the salaried. Have you seen photos of Mayawati, how senior officers used to clean her shoes with their handkerchief? We have an alliance with her. We will make them clean her shoes, if God wishes so,” reported The Indian Express. The Election Commission said first information reports have been filed under various sections of the Indian Penal Code and the Representation of the People Act against him for the speeches cited in the notice. “Your explanation shall be submitted within 24 hours of receipt of this notice, failing which the Commission shall take a decision without further reference to you,” said Principal Secretary to the Election Commission, Anuj Jaipuriar. Khan was banned from campaigning for 72 hours, starting Tuesday, after he reportedly said at a rally in Rampur that the colour of “the current Bharatiya Janata Party’s candidate’s” underwear is khaki. BJP leader Jaya Prada is the party’s nominee for Rampur.